We’ve Been There. We Understand. We are Here to Help. Wellspring understands the full impact pancreatic cancer has on the lives of those who are living with the illness. 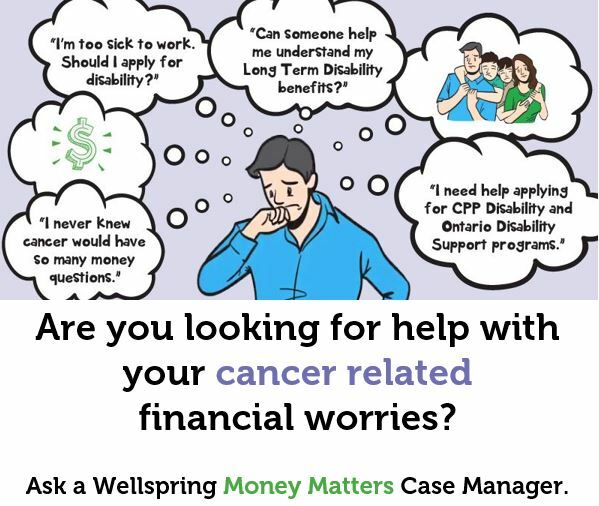 Wellspring now provides access, at no charge, to a Peer Support Volunteer who has been specially trained in providing needed emotional and coping support for any person diagnosed with pancreatic cancer, their caregivers or family members. These private sessions can take place by telephone, face-to-face via video conferencing or in person if you are accessible to a Wellspring Center in the Greater Toronto Area. Wellspring Pancreatic Cancer Peer Support Volunteers know what you are going through and they are here to help. They can also arrange for access to a counselor or to other supportive care programs that may be beneficial to you, given your particular needs, your interests and your location. If you feel that speaking with a Pancreatic Cancer Peer Support Volunteer at Wellspring would be helpful to you, simply complete the short form below, or give us a call at 1-877-499-9904 to help us quickly and efficiently schedule your appointment. We look forward to supporting you soon. This program is provided in collaboration with Pancreatic Cancer Canada.